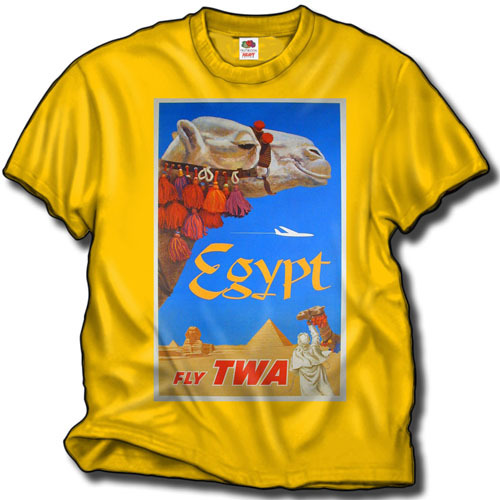 This is a revision of a shirt we did originally for the "Airliners International 2015" Convention in Atlanta. 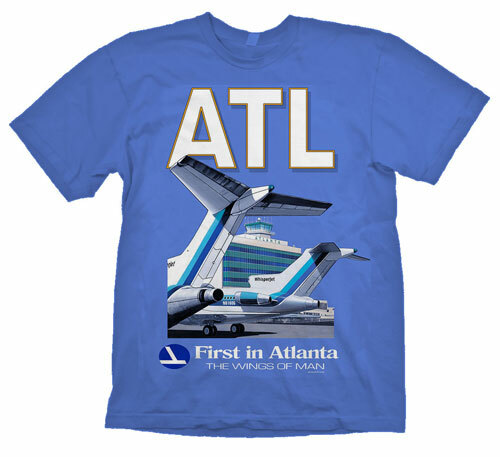 We have revised the shirt with the slogan, at that time, was correct: "First in Atlanta" titles. Tails of a 727 and a DC-9 in the foreground. With, of course, the 'Wings of Man' below the blurb. On an Iris Blue 100% cotton Iris blue Gildan shirt.